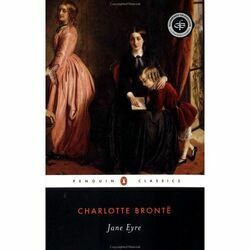 Ten-year-old Jane Eyre is a poor orphan, treated maliciously by her aunt; her plain looks and perceptive and passionate nature do not appeal to her relatives. Eventually Jane is sent to Lowood Institution, a charitable, cheap and strictly kept school for clergyman's daughters. Jane attends this school for over eight years; after a couple years, the standard of living at the school is improved. Jane makes the friends of Helen Burns, and Ms. Temple, a teacher, while she is there. These two individuals greatly affect Jane's personality and character, especially related to personal philosophy, religion, and treatment of others.Her fellow student Helen Burns, who dies young of consumption, encourages Jane to be more humble, patient and forgiving. Jane learns to hide her temper, but the injustices of the world still burn in her soul. Mrs. Reed: Jane's harsh and cruel aunt who takes Jane in against her will, because of a promise made to her husband, Jane's late uncle. Eliza Reed: Mrs. Reed's second daughter who is rather more serious and quiet; she eventually becomes a noviate and then a Catholic nun. John Reed: Mrs. Reed's arrogant and spoiled son who likes to beat Jane for punishment and amusement. Georgiana Reed: Mrs. Reed's attractive and self-absorbed first daughter, who eventually marries well in London. Jane's mother: Jane Reed, who married against her family's wish, was disowned, and who died when Jane was a baby. Jane's father: John Eyre, a clergyman, who died with his wife. Abbot: The maid at Gateshead. Mr. Reed: Mrs. Reed's late husband, and Jane's late uncle on her mother's side. Dr. Lloyd: The doctor who comes to see Jane after she has been ill in the Red-Room. He suggests to Mrs. Reed that Jane go to school. Mr.Brocklehurst: The cruel, intolerant, overzealous and money-pinching master of Lowood Institution, a pastor, who humiliates Jane in public, when she comes to Lowood. Miss Miller: One of the teachers at Lowood. Miss Maria Temple: The superintendent of Lowood Institution, whom Jane wishes to emulate, and who cares for both Helen and Jane. Miss Scatcherd: The history teacher at Lowood, who often punishes Helen Burns with a whipping. Helen Burns: The overly mature, fatalistic, religious best friend of Jane while she is at Lowood; Helen dies early from tuberculosis at Lowood. Reverend Nasmyth: The man whom Miss Temple eventually marries. Mr. Edward Fairfax Rochester: The master of Thornfield Hall, traditional Gothic male hero, and eventual husband of Jane Eyre. Mme Pierrot: Jane's French teacher at Lowood Institution. Leah: The maid at Thornfield Hall, who assists Grace Poole often. Grace Poole: The woman whom Rochester hires to watch over and care for his mad first wife, Bertha. Rowland: Rochester's dead elder brother. Miss Blanche Ingram: The beautiful, cold, snotty, arrogant and condescending upper-class woman whom Rochester leads to believe he wishes to marry. Mr. Mason: Bertha Mason, Rochester's first bride's, brother. He is from Jamaica, West Indies. Sibyl: The gypsy fortune-teller character played by Rochester. Doctor Carter: The surgeon who cares for Mr. Mason when Bertha attacks him. Robert Laven: Bessie's husband and the coachman of Gateshead Hall.